The long road to the Boston Marathon scheduled for April 15, 2019 has already begun. 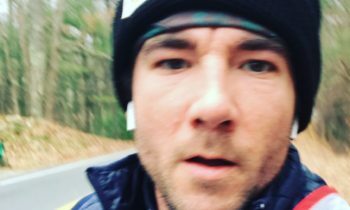 When ACE Ticket’s very own VP of Operations, Adam Clark, runs this year’s Boston Marathon, he’ll be running to raise funds for and awareness of Hole in the Wall Gang Camp. 2019 marks Adam’s first time running in the world-renowned race. In fact, this will be his very first marathon ever! Adam is excited about running the marathon close to home and says ,”It is the closest I’ll ever come to winning a championship for my city”. ACE Embrace hopes that by shining a spotlight onto Adam’s story it will help support his efforts. 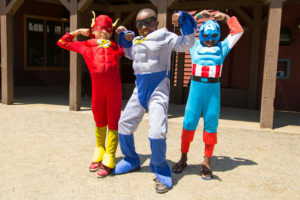 Kids at Hole in the Wall Gang Camp are superheroes! 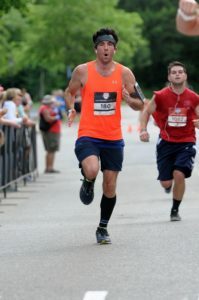 AE: What charity did you select to run the Boston Marathon in support of and why did you choose it? Clark: I am running in support of a charity that means a great deal to me and thousands of other families affected by serious illness. 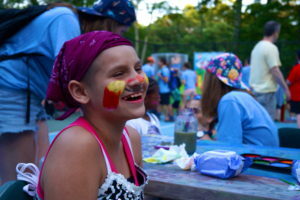 The Hole in the Wall Gang Camp is dedicated to providing a “different kind of healing” to seriously ill children and their families throughout the Northeast, free of charge. It’s a community that celebrates the fun, friendship and spirit of childhood where every kid can “raise a little hell.” A dear friend of my family was a camper at Hole in the Wall. The summers he spent there re-calibrated his strength through fun and friendship. Raising resources for this amazing organization has already introduced me to a number of families with similar connections. I am running with a team of 24 other athletes who have all committed to raising money for The Hole in the Wall Gang Camp. With every new story, I am energized to do the best I can for these guys. AE: What is your fundraising goal? Clark: My fundraising goal is $8,500 to be raised by Marathon Monday. 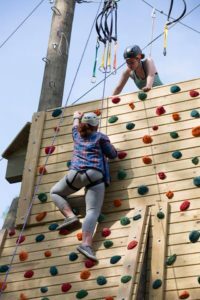 It costs camp $2,500 to send each kid through the full experience of camp. I am trying to send as many kids to camp as possible. AE: Have you set a personal goal for running this marathon? Clark: Currently, my goal is to finish around 4 hours. AE: How have you been preparing for this race? Clark: I run pretty consistently throughout the year so I had good momentum going into training. I started ramping up my efforts in the fall from about 20 miles a week to 30 miles a week. Balancing this kind of running with a family and a career is a logistical challenge. If one is willing to wake up early enough, this can be accomplished without stealing time from either. Between 5:00 – 5:30 AM I am usually setting off onto the country roads of North Andover and Boxford. I try to do three 5 mile runs, one 5k, and 1 long run (10+ miles) through the course of the week. I have yet to even run the distance of a marathon. The longest run so far was 23 miles. 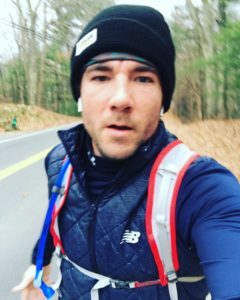 I just ran a 22 mile route on 01/13/19. 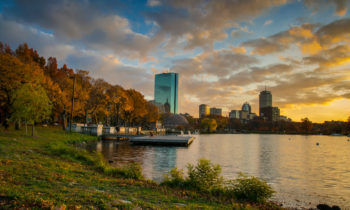 AE: How to you plan to meet the challenges of the notoriously difficult parts of the Boston Marathon route such as Heartbreak Hill? 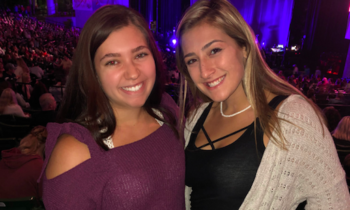 Clark: I have heard plenty of horror stories touting Boston as one of the hardest races with the hills west of the city being the antagonist of most of those stories. My current running routes are full of challenging hills. I have been running these pretty regularly since I began, almost 3 years ago. I do plan on running segments of the marathon route as the race gets closer. Building workouts, specifically around hills will be critical to preparation for this race. Also, gradually ramping up the average distance of my weekly ‘long runs’ will help overcome the distance factors. 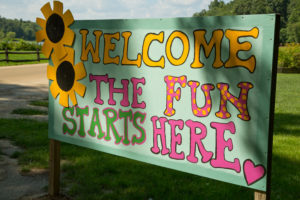 If you want to learn more about Hole in the Wall Gang Camp visit their website at www.holeinthewallgang.org. We will update you on Adam’s journey as he gets closer to the finish line.